If you’re looking for some additional resources and ways to practice giving thanks, here’s a place to start. Read a book specifically on thanksgiving or gratitude. Some recommendations would be Thanksgiving by David Pao; The Things of Earth by Joe Rigney; One Thousand Gifts by Ann Voskamp; Choosing Gratitude by Nancy Leigh DeMoss; or God is the Gospel by John Piper. If a book seems like a bit too much of a commitment right now, read one of the following articles. Listen to a sermon on thanksgiving. Sing Christian hymns or worship songs related to the theme of giving thanks. Do something as a family that makes this an enjoyable and memorable experience, such as a gratitude tree. As you interact with other Christians—in formal settings such as small group or informal settings like work or a restaurant—ask them what God has done for them that they’re thankful for. If things like gratitude trees are a bit too artsy for you, just keep a list of things you can thank God for. Keep a journal, a sheet of paper in your Bible, or use something on your phone like “Notes” to record and revisit these reasons for thanksgiving. Below is a list of 30 verses that mention giving thanks, thanksgiving, or thankfulness. I’d encourage you to read them at the start of your morning and meditate on (chew on) then throughout the day. There are plenty of related words in the Bible tied to this theme we could have looked at, or even words showing the problem with a lack of thanksgiving (such as ingratitude or murmuring). A quick word search on Logos resulted in 132 occurrences of thank/thanks/thankful and 38 occurrences of thanksgiving. So this is meant to be a starter rather than an exhaustive list. Hopefully it helps cement the importance of and joy in giving thanks in your heart, as well as providing some specific examples of what it looks like in the Bible. The Lord’s Supper deals in the realm of symbols and signs. Signs and symbols are visible, tangible representations pointing us to something behind the symbol. The thing itself is a signpost reminding us of something bigger and grander than the symbol. Let me give a couple examples. We often call this time together “communion.” Do you ever ask yourself why we use that word? If you look up definitions for the word “communion,” it means to be united, to be one, to share intimacy together or to participate in something together. The word likely combines two Latin phrases: com, meaning “with,” and unus, which means “oneness” or “unity.” The Latin-speaking Catholic church referred to this as communion because it was with oneness or unity. When we think about Communion we often talk about who Jesus is and what he has done for us individually. In light of today’s message, we should also think about the corporate dimension we celebrate in communion. What promises does God make to us as a body when we eat and drink? What are we saying and acknowledging to one another when we partake? This morning, I want to remind us Jesus gave us the Lord’s Supper so we might feed on and be refreshed by him. 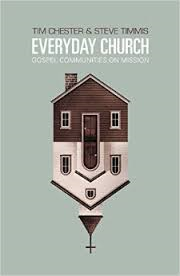 Everyday Church is a great-read, both on what it looks like to live as a community feeding one another with the gospel and building “mission” into the normal day-to-day experiences in life, rather than it being an extra add-on we do. 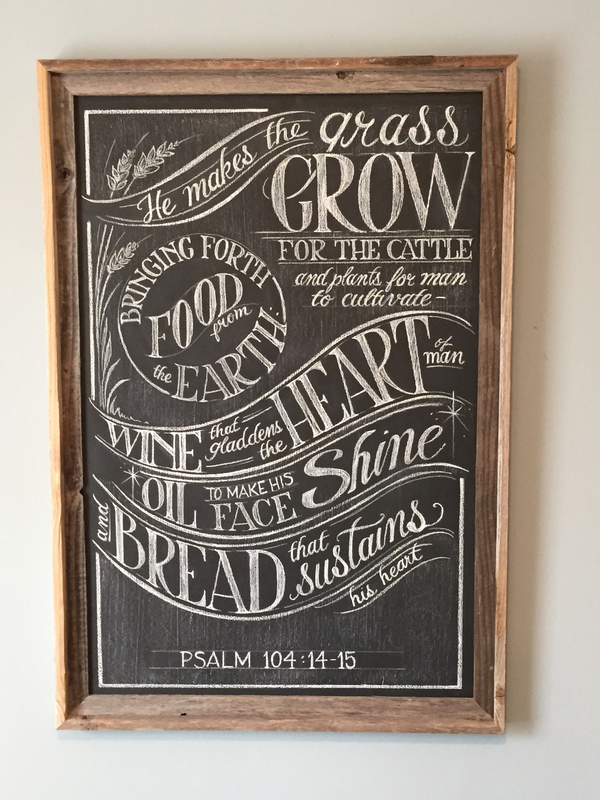 Here are a couple helpful quotes on what it means to be an intentional community. Should the Perception of others be a driving force for ethics? The King James Version translates 1 Thessalonians 5:22 as “abstain from all appearance of evil.” While studying verses 16-22 in preparation of a sermon I came across this quote from Gary Shogren. Having been raised in a church culture where the appearance of holiness rivaled actual holiness, his remarks were a helpful antidote to obsession with any “appearance” of evil we might give off. Obviously this could be taken too far if we exercise no cautious wisdom at all when it comes to appearances of sin that might be detrimental, but his words are still worth considering. Verse 22 clearly is instructing the church to test prophecies so that they hold onto what’s from the Spirit (5:21) and reject any evil, false prophecies not from the Spirit (5:22). That context shines light on what Paul is and isn’t saying in this text, which is why Shogren writes the following. Continue reading Should the Perception of others be a driving force for ethics? Posted on 01/22/2015 02/26/2015 Categories UncategorizedTags 1 Thessalonians, ethicsLeave a comment on Should the Perception of others be a driving force for ethics? During Pastor Mark’s message this morning–which was a great one–he mentioned the connection between Romans 5 and Romans 8. Whereas some might use the language of bookends for these two chapters, he more aptly described Romans 5 as the foothills of Romans 8. As we noticed this morning, as we ascend up Romans 5 we’re stunned by the heights of glorious truth only to catch a glimpse of the towering mountain called Romans 8 just ahead. You could give me either chapter to live on and I think I’d be okay.